Do you live in the lovely thriving nightlife area & suburb of Perth, WA and planning to remove your unwanted vehicle effortlessly? 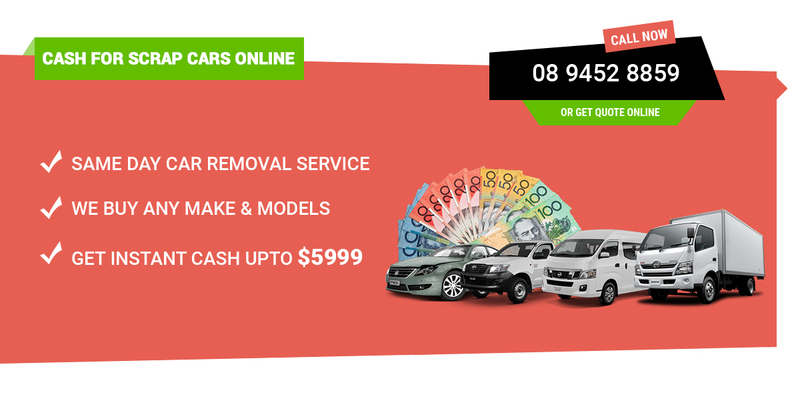 Car Wreckers Burswood 6100 @ PerthAutoWreckers can help you. Just call @ 08 9452 8859 or fill a “get a quote” form on our website and your part is done. We will start from there to estimate the best price of your car based on some standard credentials that we use to estimate an instant quote. No-one enjoys having to host a junk car on their property. Especially when they know that not only is it making their property look filthy, it is making their property filthy as well. There are probably fluids leaking out and into the ground, creating pollution. But the worst aspect of this is the fact that the junk car in question is still worth money and can easily be sold. So if you have an abandoned car, SUV, 4×4, Ute, truck or van on your property, this is what you need to do! Sell it and get some cash out of it. So, you live in Perth and you have an old scrap car that you know needs disposing of. And now you also know that you can actually get some money at the same time. Who are you going to sell it to? Your best bet is to get in touch with us here at Perth Auto Wreckers. We will buy your automobile off you for more cash than anyone else in Perth will be willing to pay. In fact, if the automobile is merely used and in fine working condition it can get up to $10K Cash for Cars. The first step toward freeing yourself of your junk car and getting a much welcome injection of cash into your life is to get a quote. Call us. Or you may want to contact us using the alternative method of filling out the quote request form on our website. Whatever the method you may choose, all we need from you once you contact us is your vehicle’s details. This includes the condition the vehicle is in, its make and model, not to mention its age. We will be sure to get back to you with a generous and fair offer in no time at all! When we buy cars we do look at the condition to ascertain how much to offer for it. However, the condition the vehicle is in won’t make us less likely to buy it. We buy unregistered cars, junk vehicles and junk cars don’t need to be in good condition. Our Car Wreckers also don’t have a preference for any specific makes or models of vehicle. We buy them all and love wrecking them all. Whether you are looking to get top cash for your Nissan, Isuzu, Toyota (Famous Prius, Camry & Corolla Wreckers & parts dealer), Daihatsu, Ford, Fiat, Renault, Daewoo, Mercedes Benz, Mitsubishi, Audi, Subaru, Honda, BMW, Peugeot, Volkswagen, Kia, Lexus, Mazda, Chevrolet, General Motors, Hyundai, Jeep, Opal, Suzuki, SsangYong, and any other make you can think of if you put your mind to it. Is your car so damaged or is it in such a state of disrepair that it cannot be driven? You will need it removed professionally when you sell it to us. Don’t worry. We will do it for you, and we will also take on the cost, charging you nothing. No hidden costs to be found here at Perth Auto Wreckers. Know more about our free car removal process. Get in touch with Car Wreckers Burswood 6100 @ PerthAutoWreckers today and ease up your life from that cluttered looking scrap clunker.